If you're seeking to be entertained in Camberley, then Tenpin is for you. 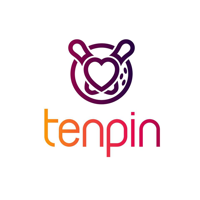 At Tenpin Camberley you can enjoy bowling, playing pool as well as many arcades. Ping Pong is available at Tenpin Camberley. The best way to celebrate a child's Birthday any time of year. Enjoy a great Birthday celebration at Tenpin with our midweek birthday party. Available anytime from when the site opens until 5.00pm Monday to Friday (excluding School Holidays). With the same great food options as the midweek Birthday Party, the weekend Ultimate Birthday Bash has two hours of bowling fun, dancing, music, games and prizes. Party hosts will lead the way ensuring everyone is having fun and getting involved. Check your sites Birthday Bash times in the terms and conditions below. Our food is delicious and freshly cooked to order. All our kids' meals come with fries and Heinz tomato ketchup. Why not add a tub of ice cream for just 70p per child? Our choice of great tasting food includes: beef burger, cheese burger, chicken bites, fish fingers or veggie fingers. Fill in and print out your invitations from the download button below. Hand them out to your child's friends asking the other parents to fill in their details when they RSVP. Collect the invitation responses and call us on the customer support line with your booking reference number 7 days prior to the party to confirm attendee numbers and pay the balance. Click this link to contact us. Ask parents to drop their children off 15 minutes before the start time. We ask that parents be present 15 minutes before the finish time as well. Please ensure there are at least two parents or guardians with every group of 6 children. Don't forget your Birthday cake and candles for the presentation to the Birthday child and party bags for the guests if you want them. Our friendly staff will do everything they can to help organise your party. If you need to change anything, or there is something wrong with the confirmation then please contact us straight away on the contact us page.